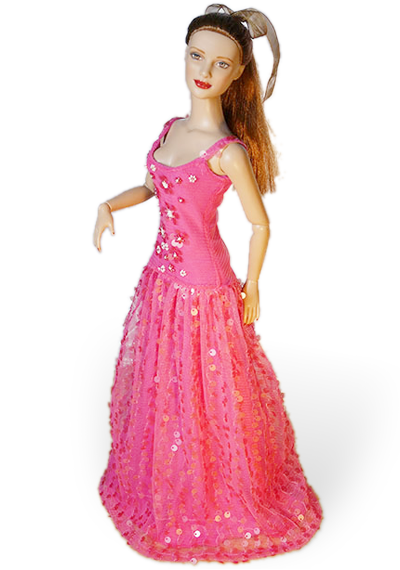 The dress is two part layered gown with tranlucent upper skirt. Bodice is laced corset with bead embroidery. The materials are red wine satin and embroidered oraganza. Both materials have nice iridescent satin shine and upper organza makes ball volume at skirt and evokes airy effect. The skirt is embroidered by shining rayon threads to ornament motive. The skirt has tight waistband suitable for 13cm waist circumference. All inner seams of bodice are hidden, there are eyes for lacing on back. The red ribbon is included. Enjoy nice contact and look during wearing of the dress. This is product of high-quality work out and the artistic value. Only the dress is included.